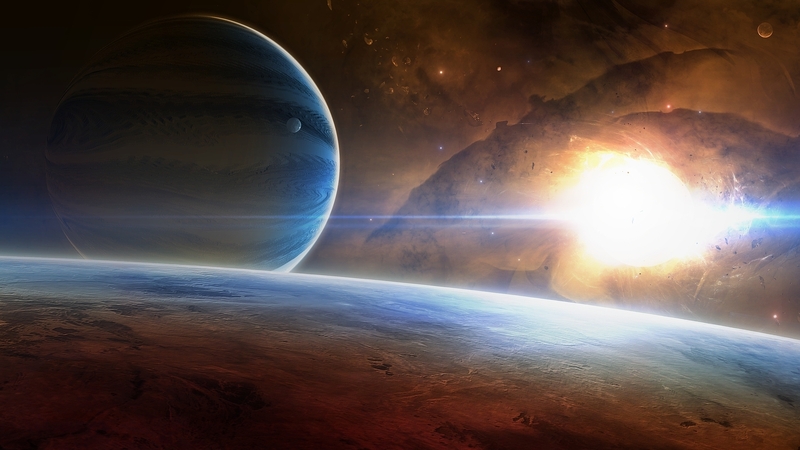 Distant Worlds – Welcomes Andrea Baker! This is the fifteenth outing of a new blog series, as I dabble my toes into the mysterious waters of author interviews! Having watched so many fantastic interviewers (Tricia Drammeh and her Authors to Watch, AFE Smith (see below), Katrina Jack and her New Authors section and Susan Finlay’s Meet the Author to name a few of the best – please check out their wonderful blogs), I’ve always been a little reluctant to throw my hat into the ring…but here goes! One of my all-time favourite worldbuilding PC games, is Sid Meier’s ‘Alpha Centauri’. 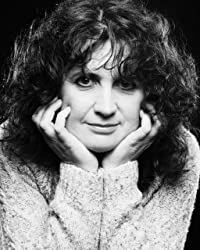 So, in homage to that (and a shameless rip off of BBC Radio 4’s ‘Desert Island Discs’ and AFE Smith’s brilliant blog series Barren Island Books), here is my own author interview series – Distant Worlds. A World Of Their Own – an awesome anthology of fantasy, sci-fi and literary short stories, with ALL profits going to charity! But now we’re branching out and will be zoning in on an extraordinary group of people, The Alliance of Worldbuilders (AWB), who I am also VERY proud to call close friends. What 5 essentials would you choose to help you survive? Water filtration system, with enough spares to keep us going for a while, until we could find suitable clean water to maintain life. Medical pack, being a practical person, making sure the flint is in there for starting a fire, as the difference between night and day can be hundreds of degrees. Books – the whole pod library if I could get it down there, I’d need something to take my mind away and allow me to dream. As much food as we could carry, to give us chance to check out the supplies on the planet first, rather than poisoning ourselves on day one. What 5 personal items would you salvage from your crashed ship before it explodes? My photographs, a reminder of home. Plenty of notepaper and pens! My glasses. I normally wear contact lenses, but there would be no point taking those because I’d never get replacements. I need my glasses though, I’m very short-sighted without them! My daughter has made me lots of little “I love you” signs over the years, and I’ve kept them all, so I’d take these. Music – I’d make sure I’d got some sort of solar-electric power conversion to keep this going. I need music in my life. Would you seek life-forms for help or go it alone? I wouldn’t actively seek out others, I’m quite the introvert, so I’d stick with the close group I have to be honest. Having said that, I wouldn’t turn them away if they found us and were friendly. 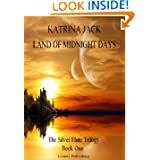 What 5 fantasy/sci-fi books would you have to keep with you and why? What 5 songs or albums could you not live without? The Muse version of ‘Feeling Good’, I adore it! You are all alone on a distant world with little chance of being rescued…do you choose water, vodka or coca-cola to drown your sorrows? Vodka, although I’m not a heavy drinker of spirits, I don’t think I’d want to think too much about my predicament! Random comet question: Marmite – love it or loathe it? Loathe it, completely and utterly! You have 30 seconds (max 100 words) to tell the alien approaching you about your latest book. Remember this is more pressurised than an elevator pitch – screw up and he’ll eat your brains! Go! My latest book is too raw to work this one through properly, so I’m going to focus on the current release, if that’s ok? How would you choose to spend your time on this distant world? Once my immediate needs are dealt with (food, water, shelter, heat, I would spend my time reading, listening to music, and writing. This is suddenly starting to sound like bliss! What 5 things would you miss most about Earth? Companionship from those closest to me, and our dog! My family, as I know only some of them would have travelled with me, and I’d miss the others dreadfully (I sound like Lady Mary from Downton Abbey there!). It sounds sentimental, but I’m close to my family, and being apart from them, unable to speak to them every day would be unbearable. The beautiful scenery of Scotland, I dream my most vivid stories there. Independence – the ability to walk, or jump in my car, and visit wherever I wanted without being restricted. The smells of home – Vanilla, my daughter’s hair when she’s just washed and dried it, my favourite meal cooking. All the normal things about life I suppose. What 5 things would you NOT miss about Earth? Politics! It drives me mad, you have each side accusing the other of manipulating the press, but of course everything that their own side puts out has to be the truth. As Billy Connolly once said, the desire to be a politician should automatically disbar you from ever being able to become one! Along the same lines, war and terrorism. I have my own belief system, and I know others disagree with that. I understand that is their right and have no intention of trying to “convert” them, or hate them for it. I can’t understand the desire to kill someone just because they’re ideas are not the same as your own. Having said that, I do believe that a country has a right to defend itself, and we have a duty to help those that are being victimised. Pollution – we’re slowly killing our planet, whether through fumes or the destruction of war. Traffic! I spend the best part of two and a half hours a day travelling, and most days am on the road for 06:45 in order to reach my clients at a reasonable time. I hate that this means I miss my daughter getting up in the morning, but it means I’m home for more hours with her in the evening. Time-traveller questions (for Dr. Who fans): What is the one thing you wish you could turn back time and change? 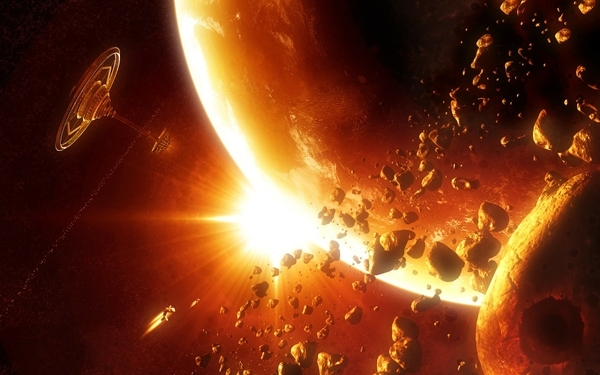 If you had the chance again to go on this deep space adventure, would you take it? Yes, providing you guaranteed me being able to return home! What 5 indie authors and books you would recommend to any carbon based lifeform – and why? 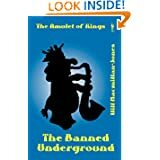 Will Macmillan Jones, The Banned Underground series, great books, and give you a good laugh too. Tricia Drammeh, Spellbringers series. It’s no secret that I love paranormal, and Tricia is brilliant with this series – I’d recommend it to everyone, and wish there was more to it! Lisa L Wiedmeier, The Timeless Series. This is a difficult one to explain. Lisa’s books appear to be set in the “real” world like my own, but there are significant differences. I love the concept of the Timeless Clans, and the stories that unfold. I’m a severe sufferer of CATTS (chronic addiction to the timeless series), I admit and can’t wait for each book to be released. AFE Smith, Darkhaven. I remember reading some of this when I first joined authonomy, and it hooked me even back then, you know how some snippets of books just stay with you. AFE has polished it and it is now published by Harper Voyager. It would have to be our very own anthology, A World Of Their Own. What a great way to discover the fantastic group of authors that have contributed to this, and for such fantastic causes too! What advice can you give to fellow space travellers (writers and readers) out there? Never let someone tell you that you read too much – reading is the best way to understand the people and world around you. Personally I think it makes you more tolerant as well. Writers, never give up. It doesn’t have to be perfection, write your story, that is what is important. Before we leave you and blast into another parallel universe, please tell us about yourself and your inspirations! I’ve made up stories for as long as I can remember – if you think about it we all do as children, in the imaginary worlds we create with our toys. As I got older I would “live” in the world from the latest discovery from the library, making up many “what happened next” stories, and even though I stopped playing, I still lived in those worlds until my late teens. Once I graduated however I forced myself to stop this, thinking I needed to “grow up”, and that is one of my biggest regrets, as I’ve lost so many great ideas as a result. I read so many books it’s hard to name inspirations – at one stage when I was younger I’d read 12-14 books a week, so to name them all would be impossible. I’m married, with an eleven year old daughter and a cocker spaniel named Ellie. In real life I’m a management consultant, specialising in transforming public services, which sounds quite boring doesn’t it? Andrea Baker was born and raised in the beautiful English county of Warwickshire, where she lived with her parents and older sister. She left home to study at the University of Wales, Aberystwyth, from where she graduated with a Bachelor of Science, with honours, in 1992. She now works as an independent management consultant, and lives less than five miles from the town and castle of Kenilworth, in Warwickshire, with her husband and their daughter. 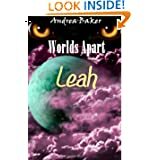 Worlds Apart is a series of romantic fantasy books, the first of which, entitled Leah, was originally released on October 11th 2012. Since January 2014 it has been published by Rose Wall Publishing. I have made up, and written, stories for as long as I can remember, even before I could effectively write them down. Rose was a nickname that I had within the family as a child, and as a result, anything that I have written, has the pen name Rose Wall. Other than a few poems in student anthologies, none of my writing has been published. The idea for Worlds Apart has been in my mind for quite a while now, and I often wrote ideas, and dream sequences down into a notebook. In 2010, I started converting these into a story, and completed almost thirty thousand words whilst still working full time, in a high profile programme run on behalf of the Department for Education. The Programme was closed at the end of November 2010, and after managing the handover of outstanding matters to the Department for Education, I found myself unemployed in January 2011. During the next four months, while trying to find another job, I used my spare time to continue my writing, and this novel, Worlds Apart: Leah, and the outline for its sequel, is the result. Nightmares are just dreams, aren’t they? They cannot hurt you. Leah’s nightmares are trying to tell her something, something her mind is refusing to let her see. At nineteen, Leah is still mourning the untimely death of her mother in an accident five years earlier. Her Father decides to move them both to a small Warwickshire town, for a fresh start. 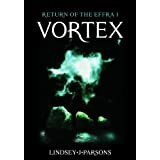 But Leah is plagued with terrifying nightmares, that seem to spill into her waking hours, and which somehow bring her comfort as well as fear. Conscious of the warnings in her dreams, and nervous of his growing temper, she deliberately withholds the details of these dreams from her Father. One morning, Leah sets off up to the Castle, even though her Father would be furious that she had gone there alone. Settling down in her favourite spot, she dozes off in the sunshine, and for the first time experiences a nightmare outside the safety of her home. Disorientated from being awoken mid-dream, she instinctively distrusts the handsome young stranger, Ben, who had awoken her from her dream, yet is strangely attracted to him. Over the next few weeks the two young people get to know each other better, and Leah finds herself more and more attracted to Ben. Her father finally discovers the relationship when she comes home late one evening. He attacks her, bruising her arm badly. She fails to hide the injury from Ben the next day, avoiding the subject by questioning him about his music. As a thunder storm erupts they leave the shop at a run, racing together to his car. Suddenly, out of nowhere, a motorcycle skids in the rain, crashing into Leah and sending her flying into a wall. Her recovery is hampered by her father’s temper and a break-in at the hospital, but this is tempered with the deepening relationship with Ben. Forced to move in with his family, Leah overhears mysterious conversations, her dreams begin to worsen and violent storms rage as she attempts to piece together the jigsaw of facts as they start to emerge. A climactic event following a regional talent show final sees both Ben and Leah being severely injured, but they are saved by mysterious creatures. Passing out as a result of her injuries, and her discovery, Leah is transported back to the house, but when she awakes, Ben is missing. Forced into a journey of discovery, she finds hidden, surreal worlds within traditional English settings along with a truth about herself and her past that she can barely allow herself to believe, let alone understand. Thank you, Andrea. Congratulations, you are survivor! A passing exploratory science vessel has honed in on your distress beacon, you’re going home!!! 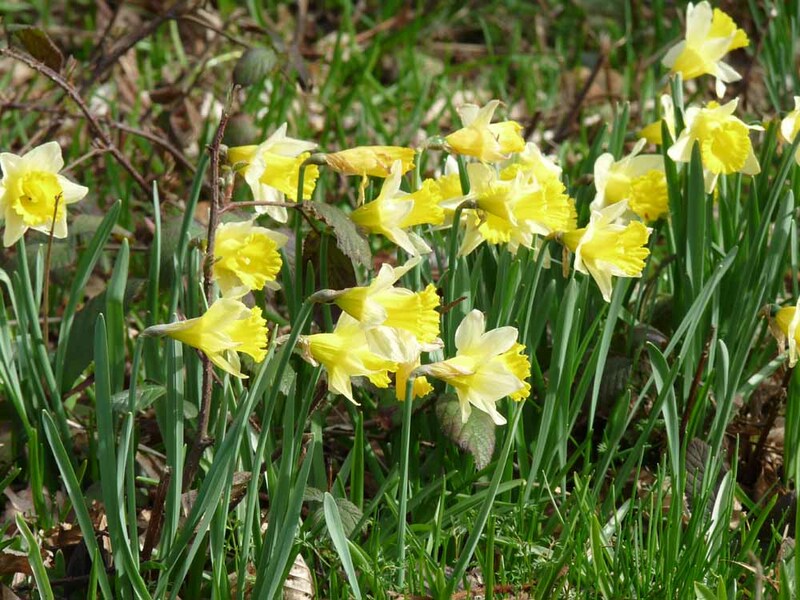 We herald the coming of spring with welcome arms and lifted hearts. ‘The Next Big Thing’ – I’ve been tagged! 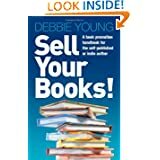 I was tagged by fellow indie author, Debbie Young, who had her first book, ‘Sell Your Books!’ published only two weeks after my own. Anyway, back to ‘The Next Big Thing’! 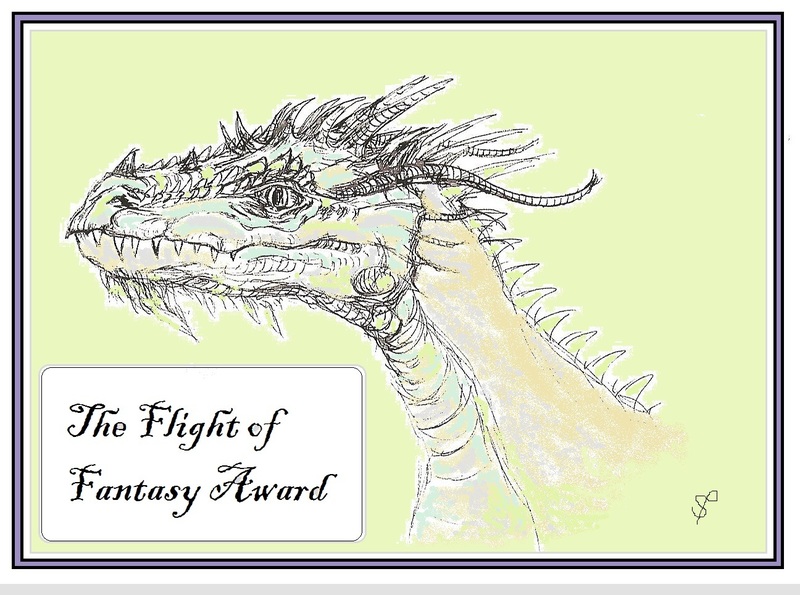 Ummm, right, my next project/work in progress…well, I have many (head stuffed with ideas thankfully), but I am currently writing the second book of my epic fantasy trilogy! 2) Where did the idea come from for your book? Epic fantasy! Sometimes referred to as ‘classic’ or ‘high’ fantasy. Having said that, it is also a contemporary fantasy as the story is set now within our modern world. It is also an adventure story, a mystery, a romance, an adrenaline fuelled action thriller, a children’s book, a Young Adult (YA) novel and a poetic saga! 4) Which actors would you choose to play your characters in a movie rendition? If I had my pick of directors…it would have to be Christopher Nolan or Ridley Scott, two real visionaries! Darkness spreads as prophetic warnings come to pass and a series of disturbing murders and disappearances multiply across the globe – the hunt is on and the war to end all wars is upon us…! 6) When will your book be published? Book 2 will be published in September/October 2013, with Book 3 due for publication in 2014. 7) How long did it take you to write the first draft of your manuscript? Wow! That’s hard. Certainly readers of Book 1 have compared it to J.R.R. Tolkien, David Gemmell, Terry Goodkind, David Eddings, Terry Brooks, C.S. Lewis, Rick Riordan even G.R.R.Martin in it’s epic scope. I would place my work somewhere in there, hopefully between the poetic nature of Tolkien and the dark gift for character of Pullman and George Martin. Again, personal life experiences good and bad. Places I’ve been to, natural landscapes hold a real magic for me and of course, I had an epic story I wanted to tell. Book 1 is the beginning of that story and is an inspiration in itself, but now the story has a life of its own and it wants to come out! Humanity beware – you’re in for a nasty awakening! 10) What else about your book might pique the reader’s interest? 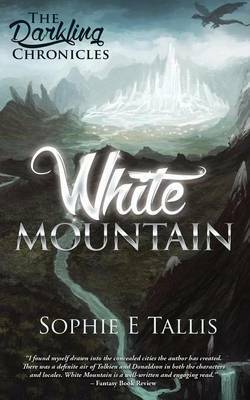 The fact that it is an epic fantasy in the classic sense but with a contemporary twist and that it is set within our modern world. Humans and millenia old magic are about to clash…head on! Can our technology save us from an ancient force determined to cleanse the planet of the plague of humanity? 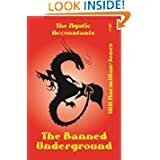 The Vampire Mechanic, the third book in the Banned Underground series, is a unique mix of fantasy and Terry Pratchett-style humor for the rock generation and their kids. Different from other comedic fantasies, it parodies the touring music scene, bureaucracy, taxation and with its tongue-in-cheek slapstick humor, witty puns and word games. What would you do if your life was filled with fear: hide, run away – or would you fight back? 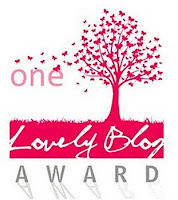 Many thanks again to the lovely Debbie Young for tagging me! It’s been great fun and a real honour. 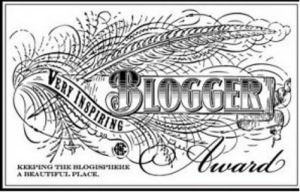 Posted in A Writer's Life For Me!, Awards, Blogs n' Hops!, Daily Hello! For the love of maps! 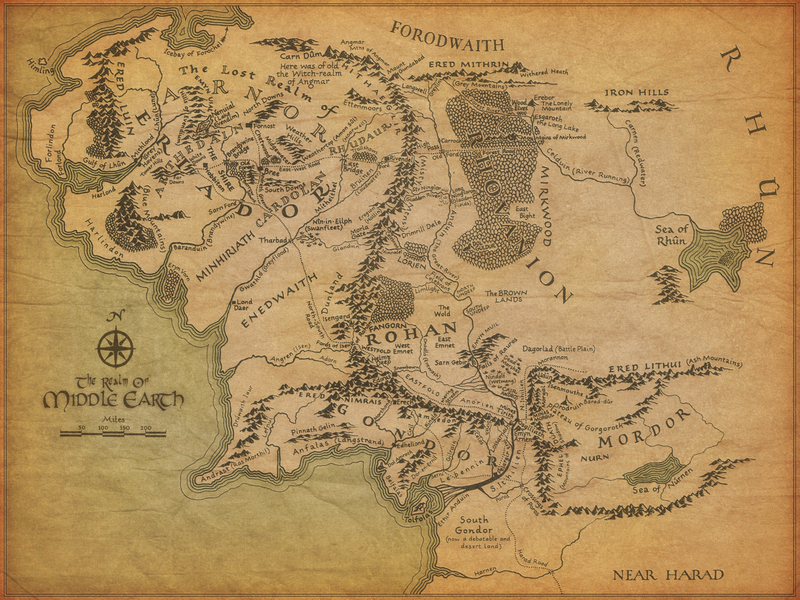 Ever since I was a young child, I’ve had an absolute fascination for maps. The ‘tone and timbre’ as I call it, of an old map, holds within it such beauty and mystery. The texture of the parchment, the ink used and how it has aged over time like the best of wines. To follow the winding paths and coastlines, the mountain ranges and sprawling settlements. Every mark, every crease, every nuance holds a story. As objects, they are works of art and are simply gorgeous to look at. But of course, maps can and have been highly divisive. History shows us that in the wrong hands they were the latest and most effective tools of warfare, propaganda, divisions of state, ideology, ethnicity. They were the bringers of colonialism and with it, the most terrible atrocities and suffering through the destruction of indigenous tribes, the conquering of nations and the carriers of disease. In a world without the internet, without weapons of mass destruction, the nation with the most skilled mapmakers found themselves at the top of the ruling tree. Empires were made or broken by those who could claim the seas and conquer the new chartered lands. Maps were the driving force of every expansionists dream. But, in literary terms, maps can be the most wondrous of additions to any story! Cartography, and particularly fantasy cartography is the stuff of dreams. As a child I would get utterly lost in the detailed maps of Milne’s 100 acre wood from ‘Winnie the Pooh’, Lewis Carroll’s ‘Alice in Wonderland’, C.S. Lewis’s ‘Narnia’, and of course Tolkien’s ‘The Hobbit’ and ‘Lord Of The Rings’. Now, maps are just as prevalent and cherished as they ever were, from Warhammer to Jordan’s ‘Wheel of Time’, Paolini’s ‘Eragon’ and George Martin’s ‘Song of Ice and Fire’. 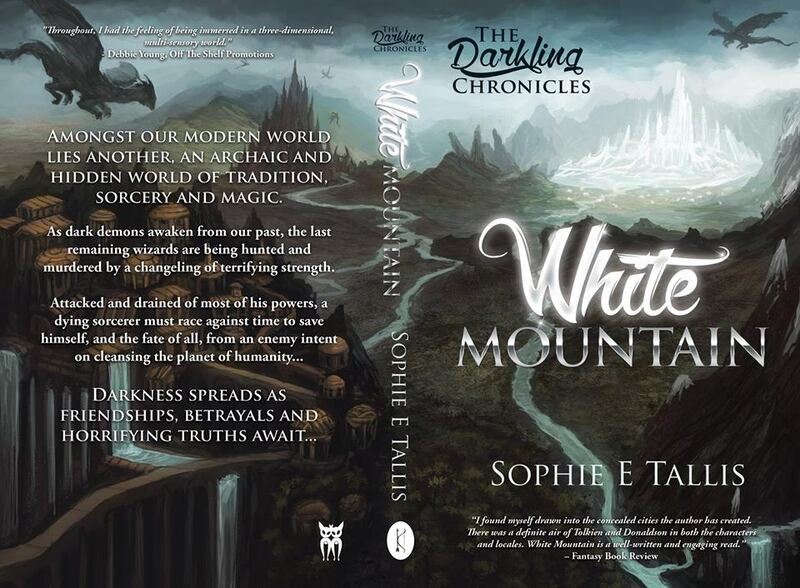 Below, my own flight of fantasy, ‘The Lay of Fendellin’ taken from my debut novel, ‘White Mountain’ – Book 1 of ‘The Darkling Chronicles’. The only limits, are our own imaginations!